A selection of all our World War II related aircraft models. 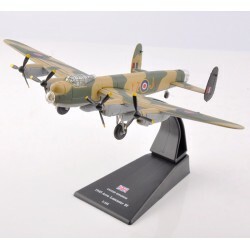 A 1:144 scale model of a 1945 Avro Lancaster - A British four-engined Second World War heavy bomber. 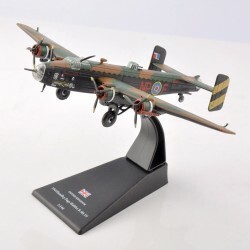 A 1:144 scale model of the Handley Page Halifax Mk III - A Royal Air Force four-engined heavy bomber of the Second World War. 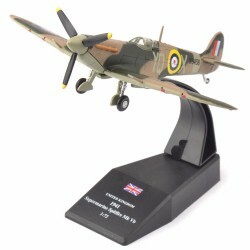 A quality 1:72 scale model of the famous 1941 Supermarine Spitfire - A British single-seat fighter used primarily by the Royal Air Force before, during and after World War II. 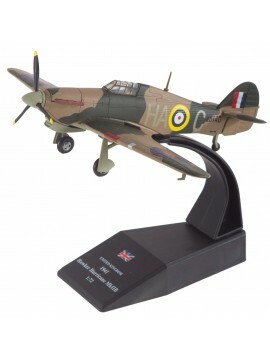 A 1:72 metal diecast scale model of the British 1941 Hawker Hurricane Mk. HB - A British single-seat fighter of the 1930s-1940s originally designed for the Royal Air Force. 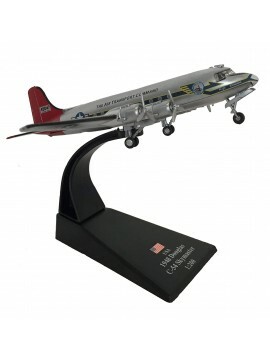 A 1:200 metal diecast scale model of the Douglas C-54 Skymaster transport aircraft - Used by the United States Army Air Forces in World War II and the Korean War. 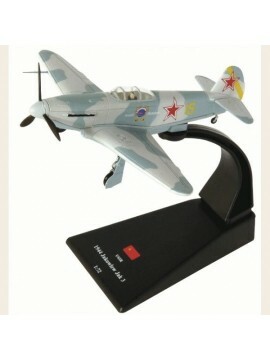 A 1:72 metal diecast scale model of the 1944 Republic P-47D Thunderbolt - A World War II era fighter aircraft operated by the United States Army Air Forces, Royal Air Force and the French Air Force. This model has a wingspan width of 17cm and a nose-to-tail length of 15cm. A 1:72 scale model of an 1944 Yakovlev Yak-3 USSR - A World War II Soviet fighter aircraft, compared to the P-51D Mustang and the Supermarine Spitfire. 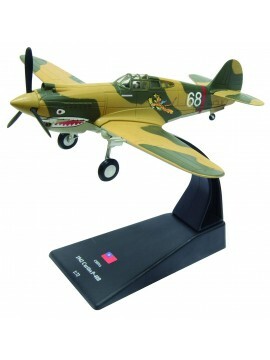 A 1:72 scale model of an 1942 Curtiss P-40B (in the Flying Tigers paint scheme) - An American single-engined, single-seat, all-metal fighter and ground-attack aircraft that first flew in 1938. A 1:72 scale model of a 1945 Heinkel He 162 "Volksjager" Nazi Germany - A German single-engine, jet-powered fighter fielded by the Luftwaffe in World War II. A 1:72 scale model of a 1945 Focke-Wulf FW 190A-8 Nazi Germany - A German single-seat, single-engine fighter designed in the late 1930s and used widely during World War II. 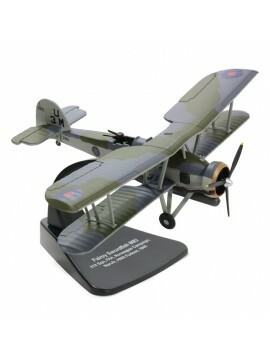 This model has a nose-to-tail length of 12.4cm and a wingspan width of 14.2cm. A 1:72 scale model of a 1940 Fairey Swordfish Mk I - A biplane torpedo bomber, initially operated primarily as a fleet attack aircraft in the late 1930s. A 1:72 scale model of a German 1941 Junkers Ju 87B-2 (Stuka) - A german dive bomber and ground-attack aircraft which first flew in 1935 and used during World War II.